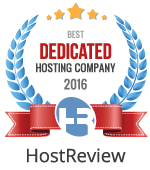 GlowHost web hosting utilizes some of the best and most reliable carrier neutral datacenters in the USA, Europe and Asia. You can find IPs and test files to check connection speed below. Please note that these IPs and downloads can change from time to time. If an IP or download is not working for you, please contact support and we will provide you with an alternate test.